AMMONNEWS - Millennium Hotels and Resorts, Middle East and Africa (MEA) launches ‘TooMooH’ – a concerted, consistent programme to accelerate nationalisation and be an active contributor to the vision and initiative of GCC countries. 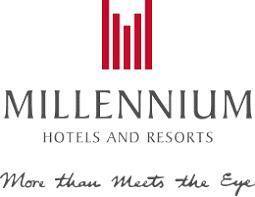 Established to meet the rapidly expanding needs of the Millennium Hotels and Resorts MEA brand across the region. ‘TooMooH’ will, integrate Nationals in the private sector and offer increased opportunities in the hospitality industry. This programme will bring to life all the career goals of our GCC National colleagues that have ambition and a ‘can-do’ attitude with an emphasis on enhancing their development and skill set.‘TooMooH’means ‘ambition’ in Arabic. On track to have 100 hotels across the Middle East by 2020, the programme reflects Millennium Hotels and Resorts (MEA), vision to have an active role in the advancement of GCC National involvement in the region’s burgeoning travel industry. ‘TooMooH’ is a comprehensive, four tier, National development programme focusing on the advancement of fresh graduates, executives and leaders. Millennium Hotels and Resorts (MEA) will be initiating the first tier of the programme with the launch of the ‘TooMooH’Executive Development Programme (TEDP), designed for selected colleagues that have potential to assume managerial positions upon successful completion of the programme. TEDP is an eighteen month talent development programme, where each candidate will have a personal coach and a mentor who will help the candidates to refine their job knowledge and prepare them mentally and emotionally to lead the department.